Digi Telecommunications activated their new 900 MHz network on 1 July 2017, promising wider coverage and better signal penetration in buildings. In this article, we will share with you why this matters to you as a consumer. The 900 MHz and 1800 MHz spectrum were originally reserved for use by 2G networks, but in February 2016, the Malaysian Communications and Multimedia Commission (MCMC) reallocated certain bands for use by 3G and 4G LTE networks. Digi was allocated 2 x 5 MHz of 900 MHz and 2 x 20 MHz of 1800 MHz for 15 years. 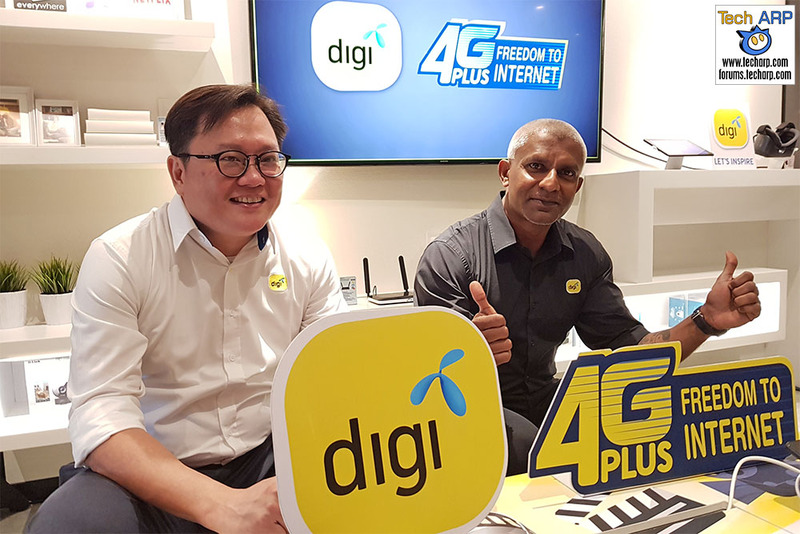 According to Digi Chief Technology Officer, Kesavan Sivabalan, the Digi 4G LTE network reaches 86% of Malaysians in 295 cities and major towns today, while the faster LTE-Advanced (LTE-A) network covers 45% of populated areas in Malaysia, covering 80 cities and towns. The new 900 MHz spectrum not only extends the reach from the base stations, but also penetrates walls better to offer stronger indoor coverage. Currently, the Digi 4G LTE 900 MHz spectrum covers only 15% of the population in 51 cities and towns. There is an emphasis on rural areas, due to the greater reach of the 900 MHz spectrum, and the lower likelihood of network congestion. Digi also took the opportunity to announce that their network is also available throughout the underground sections of the newly-launched MRT line. This means Digi customers will enjoy seamless connectivity at all times, while riding on the MRT. “Customers can stay connected and reachable at all times while they travel on the MRT. They can continue to stream content like music and videos, play online games or even catch up on the reading their favourite websites. This is just another example of what we mean when we say we have the infrastructure in place to cater to our customers’ ever-changing and evolving digital lifestyles,” Kesavan added.